IQlance mission is to provide perfect and accurate solution within stipulated time frame. 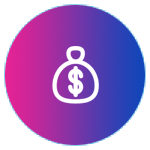 We set our priorities right and work to strike a balance between your requirements; all your valuable ideas and documentation in terms of time and money. Clients can pay the agreed price and get delivery of their project on time with accurate output. Here client has to discuss their exact development requirements with our team to fix the total cost of project, delivery time of project, and above all- the features required in development. Iqlance requires detailed documentation (Business Requirement Document) that covers project planning with requirements and pre-planned ideas. With these requirements in hand, t we will proceed with our unmatched designing and development skills to give better results in real time. In short it is a model where we turn your well-defined requirements into well-defined deliverables. IQlance works on an hourly price model to maintain control and satisfaction. 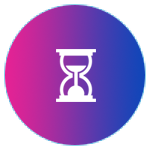 We try to limit ourselves to achieving deadlines and following Material model where client can get there projects done on an hourly basis. This allows our advanced and technological expertise team delivers complex and interactive mobile applications in time. IQlance always supports economical and best approach of project building for client with no fix budget. We will equip you with desired number of expert developers and designers in so that you can easily fully utilize their skills and potential. Some mobile development projects are complex and it is hard to define scope and business requirements. In such a case, this model is the most suitable to use where you can get maximum control and flexibility in comparison to Fixed Price engagement model. IQlance provides the best model for your needs by providing dedicated developers as per your business requirement. This approach helps client get the best output and results in a long term and healthy relationship. 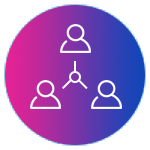 Most of our clients choose this engagement model because it is cost effective and they can get the highest flexibility and supervise their hired resources and keep track of project progress. IQlance provides support through our team of project managers, developers, and designers. These experts handle your project with all their dedication. 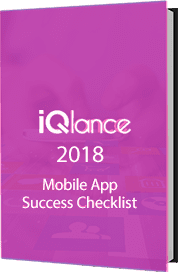 IQlance can zeal you only if you when the exact requirement and will will provide you with best team information to choose accurate developer and start your work with.